In this post, we shall discuss how you can navigate within a table, how you can select different parts of a table and how you can move a table from one location to another. Let’s see at first, how you can navigate within a table. Navigating within a table is just like navigating within a worksheet. You can use a mouse or you can use the keyboard to navigate within a table. 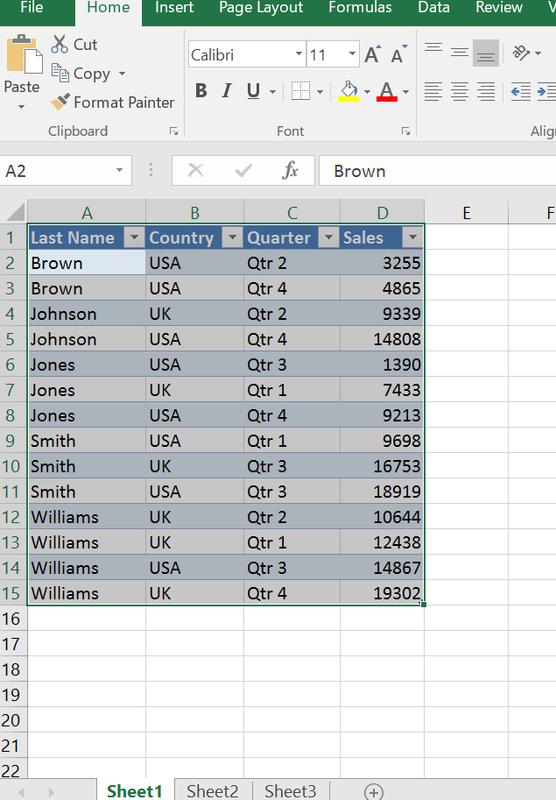 Select a cell in the table. If you press Enter on your keyboard, the Active cell will move one cell down. You can use standard navigational keys to move the active cell one cell right, one cell up, one cell left, and one cell down with each click. The only difference is our Tab key. Let’s see what happens when we use Tab key to navigate within a range. I select a cell in this range, I press Tab key, and you see it moves horizontally in a row until it reaches the last cell of the row. When you keep pressing the tab key on your keyboard, it selects the cells within the table circularly. 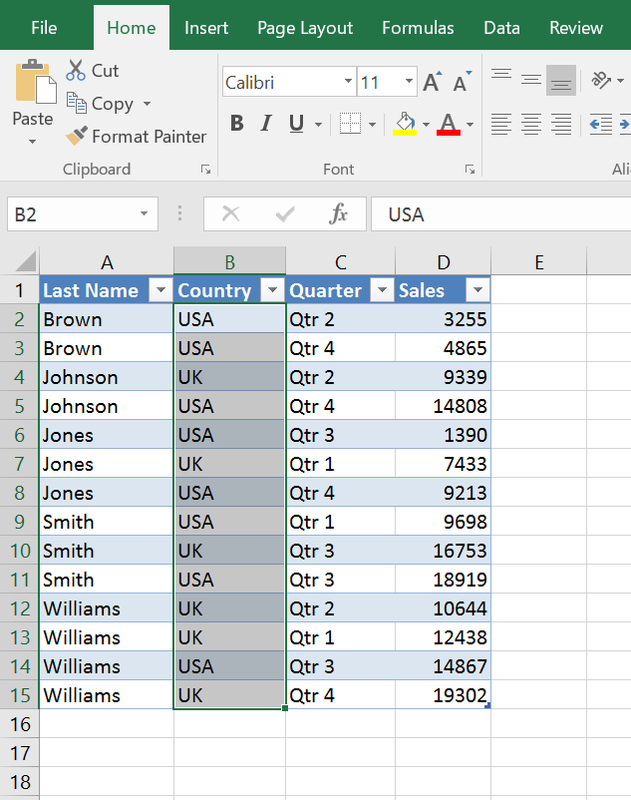 When it reaches the last cell of the table, and you press Tab key again, Excel inserts a new row in the table. Now I shall focus on how you can select different parts of a table. 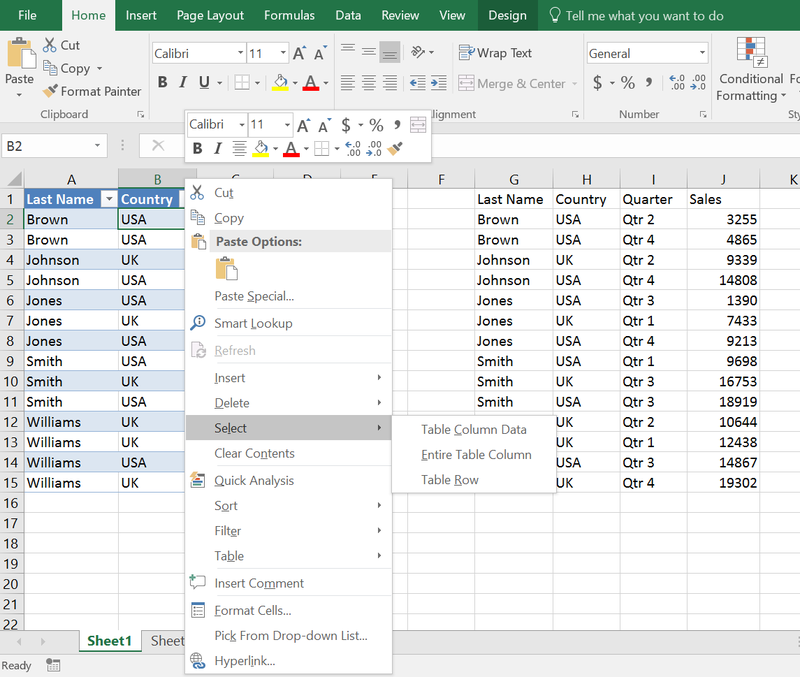 To select a column of a table, just select a cell within the column that you want to select and then press CTRL and Spacebar on your keyboard. You see, only the data part of the column is selected. To select the Entire column, again press CTRL and Spacebar on your keyboard. You see the Entire column is selected. Or you can right click on any cell within a column that you want to select, on right click of the mouse pointer over the Select Option in the list, and a submenu appears. 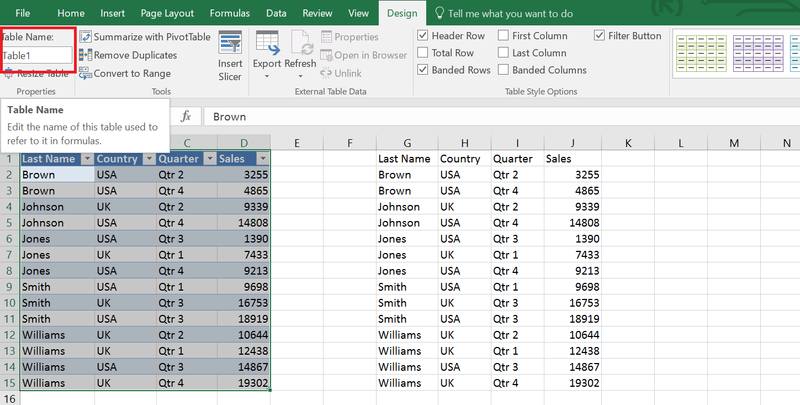 There are three options in this list: Table Column Data, Entire Table Column, and Table Row. I select Table Column Data, you see the data part of the column is selected. Again right click on any cell, mouse pointer over the Select option, this time I select the Entire Table Column, you see the entire column is selected. Table rows are selected exactly similar except that the keyboard shortcut is Shift and Spacebar. 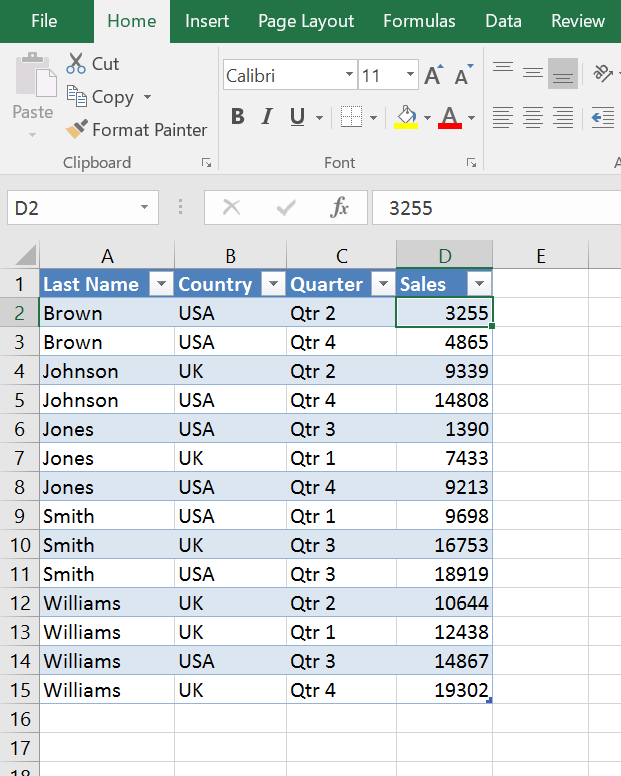 To select the whole table, select a cell within the table, press CTRL + A on your keyboard to select data and again the same combination pressed to select the whole table. When you want to select a table from a different worksheet, you can use the name box.Every table has a name. By default they are named as Table1, Table2, and Table3 etc. Now let’s focus on how you can move a table from one location to another location in a worksheet. Moving a table is same as moving a range. So you can use all the standard ways to move a table from one location to another location within a worksheet. Here I am just going to use two ways. According to our first way: I press CTRL + A twice in my keyboard, the entire table is selected. I move my mouse pointer over any of the table borders. When the mouse pointer turns into a cross sign with four arrows, I click on my mouse and drag the table to a new location. Or just press CTRL + A twice to select the entire table. Press CTRL + X to cut the selected cells. 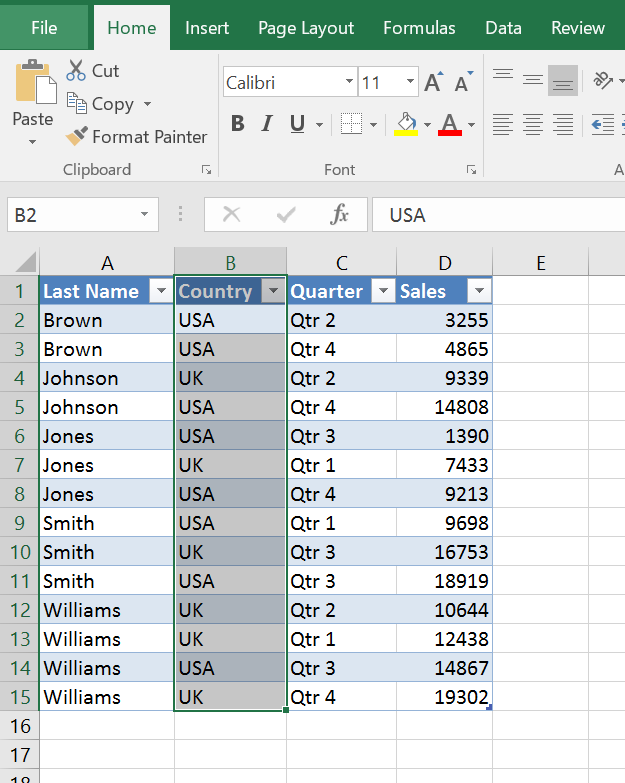 Activate the new worksheet, select a cell where you want to paste the table. Press CTRL + V. The table is moved to a new location. So this summarizes the ways in which the table can be selected, moved, copied etc. Do leave your comments to let us know if this post was helpful. Keep Excelling until next time!